This is the 3rd post in my coverage of iPhone apps. As Kara Swisher says: “Apple has built a platform for adults” although IMO the free ones, in the midst of the 59 productivity apps, cannot be easily discerned by the average user. What one also forgets are the FREE productivity enhancing apps already existent in version 1.0 of the web app ecosystem. 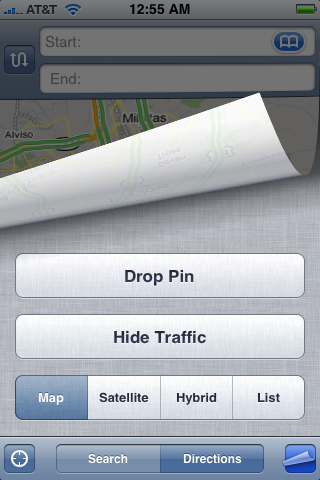 This post is meant to help you navigate free apps in the iPhone (1.0 or 2.0). Brace yourself for the FREE iPhone productivity goodness at your fingertips (right after the jump). I’ve broken down the productivity apps into 5 categories, which include Office style, Mobility, Lists, Tasks and Knowledge Apps. When one says productivity, the first thing that comes to mind are office style apps that help us get the job done. 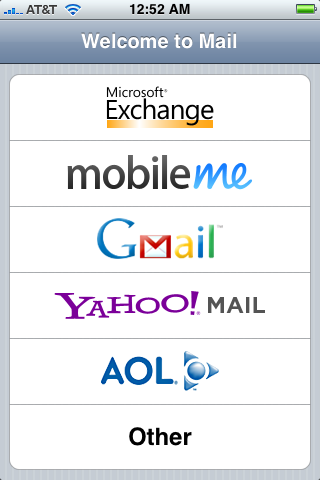 You know, mail, docs, calendar and news consumption apps. And, it looks like Google has cornered the market in the iPhone with simple apps that enable you to very easily to extend your online experience to the mobile platform. Here are five of them. Of course an alternative would be to use the iPhone’s own mail client, which (in it’s latest avatar allows for POP and IMAP access. If you use Google Docs and Spreadsheets regularly, their optimized iPhone client allows you to view all the documents created. Unfortunately, you cannot edit the documents as of today. FileMagnet, which costs $5, places a small program on your computer, and then wirelessly transfers any files you drag into it to the FileMagnet program on the phone. It works with Microsoft Word files, PDF files, images and more. Frequent users of Google Cal and iCal are probably aware that you can subscribe to separate Google calendars in iCal, which is then reflected both on your Macbook as well as your iPhone. Google Reader is the best RSS reader out there IMO, and their iPhone app further fine-tunes the service to provide you only the necessary information in summary form, yet allowing for starring, viewing entire content, sorting by feeds, tags and all other Reader goodness. I’m a user of NetNewsWire on the Mac, so this app had me excited. Unfortunately, it’s not quite the experience I had hoped for, and not only that, but it won’t seem to download my entire collection of feeds as synced with Newsgator. If you travel a lot, you need information at your finger tips without the hassle of navigating crappy mobile apps. 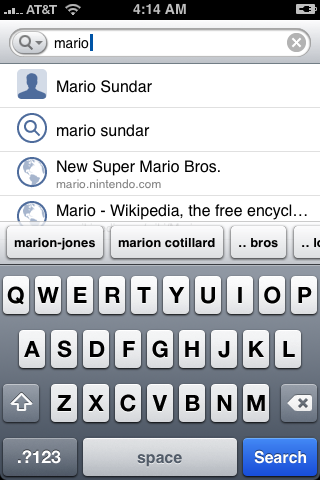 On the iPhone the following three apps, helps you find information, people and places in a very user-friendly manner. And, the killer app of them all: Google’s prized search engine, fine tuned for the iPhone. Let me tell you, you’ve got to use this on the iPhone to feel its productivity in terms of time saved searching on your iPhone. There’s even a tiny scroller that’s used to provide a macro level overview of results to direct you. The best part of it all, is the ability to search through your phone book on iPhone (which surprisingly thus far does not possess search capability). Let me add a couple more Google Apps that are equally important productivity god-sends esp. when your job’s a traveling salesman. Yet again, fine-tuned for the iPhone. The new version (even in the non 3G phones helps triangulate your location, hence allowing apps to serve you location specific data. 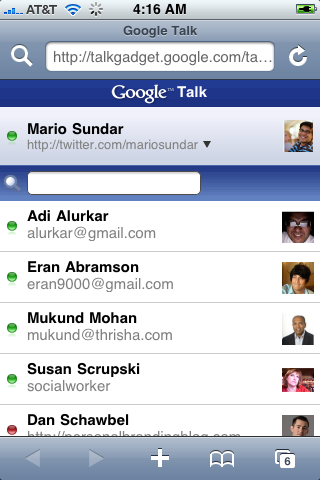 It lacks some of the more rarified features of the PC or Mac versions, but does the basic text-chat thing quite well. One downside: because Apple isn’t allowing third-party programs to run constantly in the background, you can’t receive new messages in AIM while doing other things. 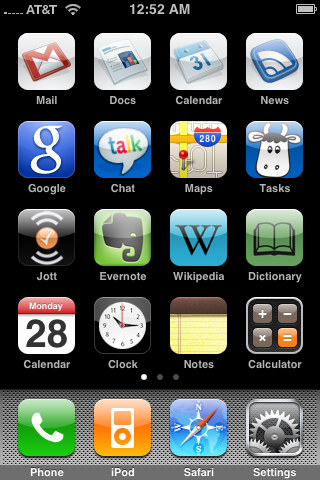 To learn how to set up different bookmarks for Google Apps on the iPhone, check out the Google Mobile blog. There’s a slew of paid apps out there that allow you to make lists. But, the easiest way for you to take notes would have to be iPhone’s own native Notes app. A simple, no-frills solution to note taking. In addition, the 2.0 version has two new FREE apps that allow you to take notes with audio (Jott) and pictures (Evernote). Since I’ve already reviewed these two apps, I’m not going to repeat myself. Check out the reviews here. This is the one area of productivity that I’d rather not get a free app, but rather a fully functional app. My choice has been to purchase the web based version of the RTM app, which plays well with Gmail (there’s a terrific Firefox plug-in that displays your tasks in Gmail). But I digress, theirs was one of the best version 1.0 apps built for the iPhone made better by their ubiquity and ease of access, whether it’s on Google Apps or the iPhone. However, you can also access RTM for free in a not so great looking app, if you access this site here. OmniFocus is a great GTD task management application. It’s a “port” (and I use that word loosely) from Omni Group’s popular desktop application of the same name. Though it’s on the pricier end of the available iPhone apps, the functionality offered can be accounted for. What’s more important than knowing time, money, language and knowledge itself and having those at your easy disposal through apps that make that process simple. Here are four apps that help you do that, two of which belong to the native iPhone app system and the last two of which belong to the old iPhone 1.0 web app system but equally worthy of mention. Ah, an app for the globe trotter in you. Well, how many times has setting up a meeting with disparate teams been a headache for you. 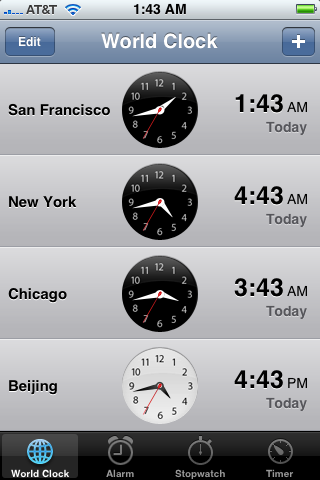 I’ve always been impressed with how simple yet effective, the iPhone’s native clock app has been. I guess the screen shot below pretty much sums it all up. I know there are a lot of futile senseless paid apps out there that for e.g. allow you to calculate the tip in a restaurant. C’mon! You’ve got to be kidding me. 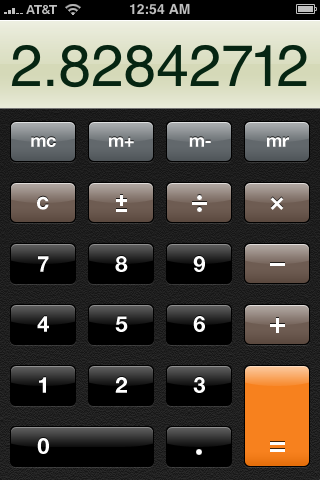 The iPhone has the best calculator out there, which has been upgraded with a scientific calculator which reveals itself when you turn the iPhone. Now, that must be a selling point for any student in any part of the globe. Screenshot below. 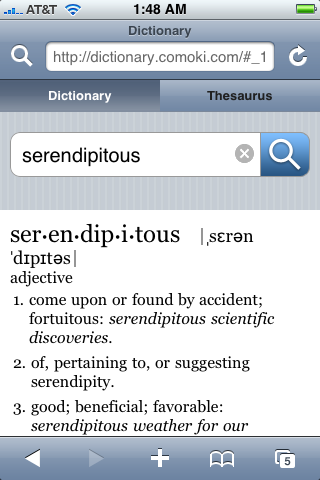 This is a terrific web app that formats the dictionary in such a way that it makes it very easy for me to pull up words, both from the dictionary and thesaurus, when I’m reading books and come across words that are mind-twisters. Looks like this web app comes from the same company. 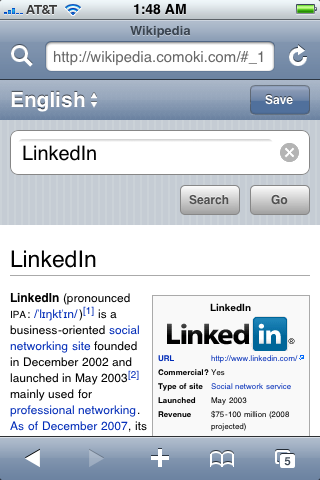 Formats the wikipedia in such a way that allows you to access it in a very user friendly manner formatted for the iPhone’s screen. And, that pretty much covers it all, I’m sure. Wait… have I missed anything? Let me know if I have, by leaving a comment at the bottom of this post. Thanks for reading. Are there any FREE iPhone productivity apps this list misses? So after you’re organized then have some fun. Your too cute. I enjoy reading your blog. This list seems like a bit of a shrine to all things Google. Might I submit a competing app for those who don’t want to sign away all of their life and information to Google? I find that the Yellow Pages app is a handy little app for getting things done. I travel a lot, and being unfamiliar with roads, businesses, hotel locations, etc., I find myself turning to this app all the time. It lists query results based on their distance from your location and provides contact information, customer ratings and GPS directions on how to get there all in a tap or two. All in all, it’s a slick app that has saved my bacon on several occasions. So there are my two cents. Also, the app happens to be free. You should check out myPocketProf! Its the only app that allows you to copy and paste your course notes to your myPocketProf account and view your notes locally. Upload files and share them also! Share any course note, hierarchy of notes that you want. Copy and paste websites and view them when you’ve got time on the metro or train whilst travelling to work or college. When you’re done, you can sell your course notes. Its all free. Create quizzes, online courses and sell them to other students. 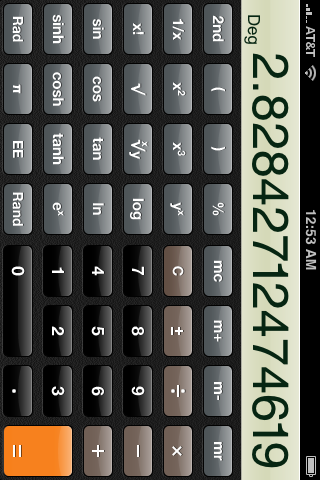 There is a new calculator app called CalcAdva. In basically has two calculators, one Scientific (including trignometric functions etc), and another for Programmers (including bin/oct/dev/hex, shift/rotate boolean logic). In addition, you can add and calculate with variables in addition to a predefined rich set of predefined math/phys variables. Finally, you can correct your mistakes in previous calculations and perform a recalculation again, using the history function. Pay only $3 and get a much better calculator than the one the comes with iPhone itself. Nice list thanks for sharing… Would like to add Future Scheduler app (paid) for iPhone this helps you in scheduling text messages, emails, status update and phone calls. Check it out!! !